The word “balti” always remind me of the Bengali word for bucket, why a chicken recipe will be associated with such a word was quite appealing to me. My first guess was that the dish was served in little copper coated buckets in the restaurant, but that reasoning seemed a little too far fetched. So, I did a little search and of course Wikipedia came in handy. Apparently, the phrase “Balti Chicken” came from the origin of this recipe. Here again there is much argument about where the origin of this recipe was. 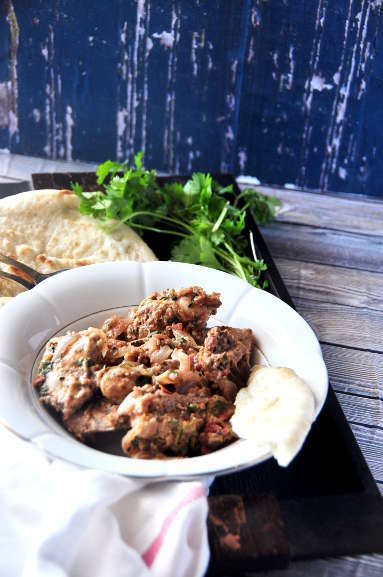 Some say that this recipe originated from Baltistan, Northern region of Pakistan and hence the name. The other theory says that the chicken dish was first prepared by the Balti restaurants in Birmingham in UK. Anyways as Shakespeare had said, “What’s in a name? That which we call a rose by any other name would smell as sweet.”, there is no point in fighting over a name of a chicken recipe. But, it’s definitely worth trying. The recipe calls for a lot of tomatoes, and the chicken is cooked in the tomato juice making this chicken dish a sweet and sour preparation. 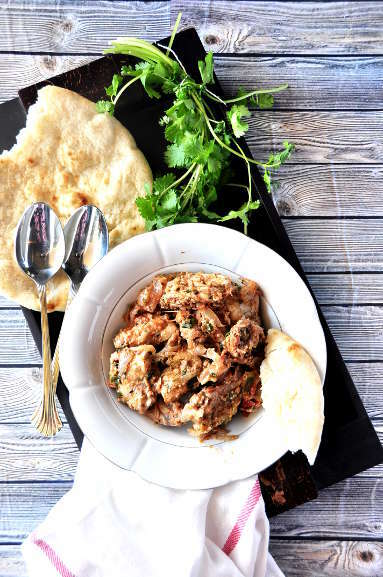 This chicken side dish is the new item for the rakhi series. Add the garlic and green chili and cook covered till the chicken is fully cooked. Pour little water if it gets too dry. Chef’s Tips: I used about two cornish hen in this recipe. If you want to make it a boneless preparation, you can use chicken thigh; breast pieces tend to get very chewy.